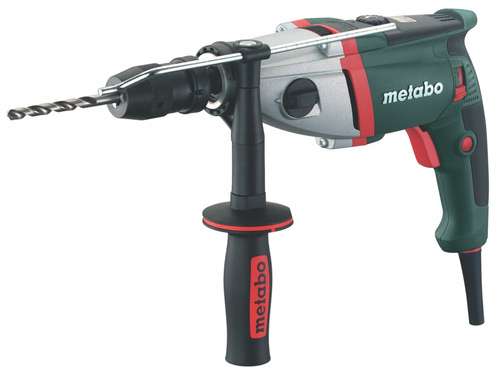 Prominent & Leading Manufacturer from New Delhi, we offer rotary hammer drill machines. Rotary hammers, also called "combi drills," are similar in that they also pound the drill bit in and out while it is spinning. However, they use a piston mechanism instead of a special clutch. This causes them to deliver a much more powerful hammer blow, making it possible to drill bigger holes much faster. Rotary hammers have such force, in fact, that the usual masonry bits are no longer adequate. Their smooth shanks would be pounded loose from the tool's chuck in a few seconds. Rotary hammers require special bits which lock into the rotary hammer and continue spinning while smashing away.